Happy Easter! I hope you all had a lovely Holiday weekend. 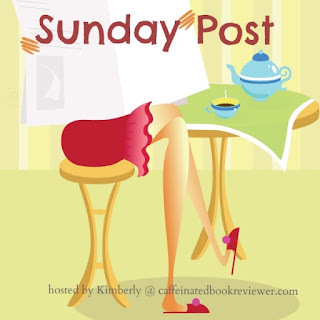 Today I will link to The Sunday Post hosted by caffeinatedbookreviewer. This meme talks about our week both on and off the blog. I had a fairly laid back week. I did some reading, and I posted more content on this blog. I was so happy to have a relaxing week. April is Camp National Novel Writing Month, and my goal is 50 hours. As of right now, I am in my 37th hour of creativity time while writing this post. I am doing multiple projects this month including blog posts, professional blogs, and a fan fic. My plan for this week is to get back into my fan fiction. I love the story but I ended up working on some other things. I went to church last night and a brunch today. Hello! I won a PDF EArc for a book called Hotel Dare a while back. While it was not needed, I wanted to write a review for the book as I liked it, and I think that others would. Thank you to the publisher for my copy! It’s not your typical family vacation when Olive, and her adopted siblings Darwin and Charlotte find themselves falling into other worlds as they explore Grandma Lupé’s strange hotel. OPEN THE DOOR. ADVENTURE AWAITS. Welcome back! Can't Wait Wednesday is a meme hosted by Tressa at Wishfulendings. 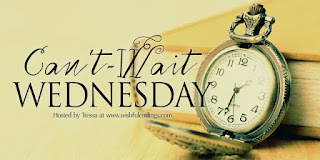 This is a re-branding of Waiting On Wednesday which was hosted by Jill at breakingthespine. The purpose of this meme is to discuss books we're excited about. These books have not been released yet, but I will expand this to books on my TBR which I would like to read. This week I would like to highlight Love From A to Z by S.K. Ali. Top Five Tuesday- Books I predict will be Five Star reads! Hello! This is a meme I have seen a few bloggers do and it looks like so much fun! I will posting these when I find that the discussion fits something I can talk about. The meme is hosted by Shanah at Bionicbookworm. Covers come from Goodreads. Today, we are on the topic of books we predict will be a five star read. You all know me and know how much I love a retelling. The Little Mermaid is one of my favorite movies and I love Ariel so much. I have heard about this book from others, and I really feel like this book will be my jam. I have a copy of this and will probably read it over the summer, as I feel this will be the perfect novel for summer! Top Ten Tuesdays- Rainy Day books! Welcome Back! I am having so much fun with Top Ten Tuesdays and getting to know the book blogging community through these posts. As always, Top Ten Tuesdays is hosted by Jana at thatartsyreadergirl. This meme has been hosted by Jana in January 2018, but was hosted at The Broke and The Bookish since 2010. The topic for this week is Rainy Day Reads. This means different things for different people, and for me it means Fantasy and YA. I'm not a mystery reader, but I fee I could be I need to find the mystery to hook me in. I have not read these on a rainy day, but I feel that I would. Musical Mondays- The Cher Show! Welcome Back! This is a series that I started when I wanted to highlight musicals I love that other might not not know of. I have expanded this to include very popular musicals that even a casual fan of theatre would know. Today, I want to talk about a jukebox musical called The Cher Show. I picked this one today because I have opinions on it,and the cast recording was just released digitally on April 12th. Also, the cast will be taking over The Tonight Show With Jimmy Fallon tonight. This might be shorter than my other posts because the show is about real people. I will link to the gallery I used for the photos at the bottom of this post. Hello! I have been wanting a meme where I could discuss my week both inside and outside of my blog. This is when I heard about caffeinatedbookreviewer.com hosting a discussion that fits this topic perfectly.Here is the post about The Sunday post if you would like to find out more! Tynga Reviews also hosts Stacking the Shelves, so I will link to both. I am actively reading a lot of books right now, but I love the change between each and every book I read. I am on page 93 of 144 in Hotel Dare by Terry Blas. This is a PDF E Arc I won in a giveaway. I plan on finishing and reviewing this book this week. The book is middle grade, and it is a lot of fun to read. In this book there is a character named Olive, and she is a delight.